During the very first Art of Freelance Course, Elli Lauren took on the task of revamping her current photography portfolio into two separate websites/businesses, gathering feedback from her Cohort along the way. Her Cohort is where she met AF Alum Charlie Hess, Design Director and Photo Director for publications. 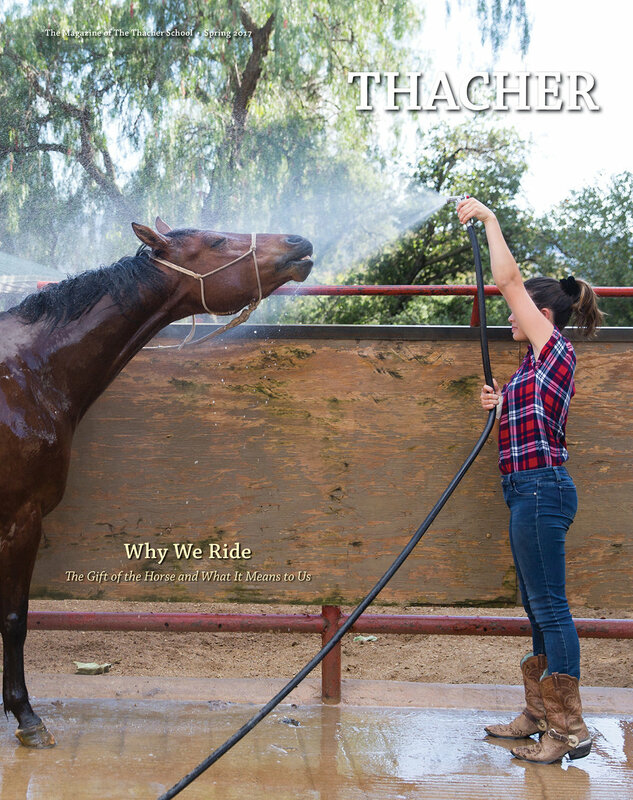 After seeing her work throughout the Course, Charlie reached out to collaborate with Elli and hired her as a photographer for Thacher Magazine, which Charlie has worked with for many years and saw Elli's photography style as the perfect fit for highlighting their incredible Horse Program. In Elli's words, "This is still one of my favorite assignments! [...] It was incredible to see such hard work and dedication in these young students. Plus, the campus, located in the foothills of Ojai, was simply breathtaking." After a successful shoot and new business relationship, Charlie and Elli have continued to work together on various photo projects, including a photo walk in Historic Filipinotown recently as a part of Charlie's Art of Freelance project with the Spring '17 Course.